THURSDAY, June 30, 2016 (HealthDay News) -- New research finds that people struggling with binge-eating disorder -- America's most common, yet likely least-known eating disorder -- may have at least three treatment options to help them curtail their eating. People diagnosed as chronic binge eaters can benefit from cognitive-behavioral therapy, a form of therapy that helps patients understand the reasons behind their actions. That understanding can then help them change their behavior, said study lead author Kimberly Brownley. She's an associate professor with the University of North Carolina Center of Excellence for Eating Disorders. The new research review also identified prescription drugs that appear to help curb binge eating, including second-generation antidepressants such as Prozac, Zoloft and Wellbutrin. 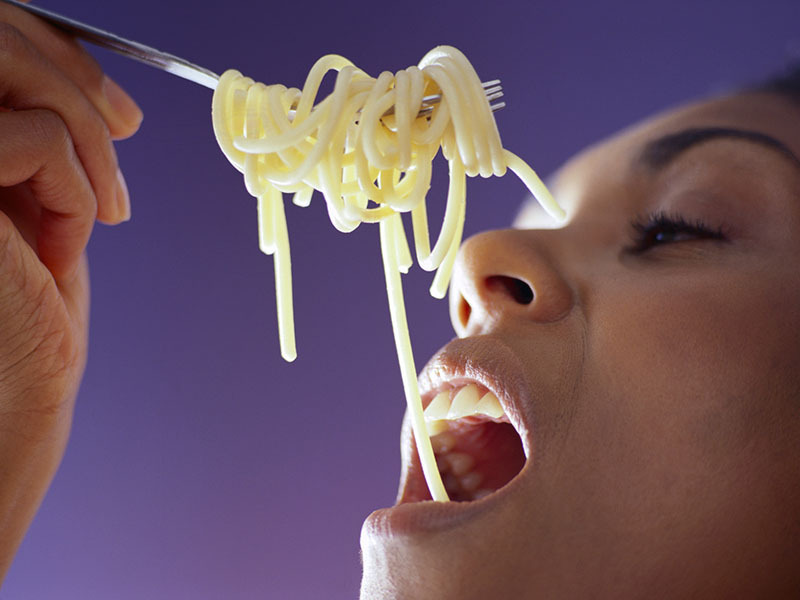 People with binge-eating disorder can also try a drug called Vyvanse (lisdexamfetamine). It's currently the only FDA-approved medication for binge-eating disorder, Brownley said. "We found strong evidence to support these three different forms of treatment," Brownley said. But, it appears that there's no one-size-fits-all treatment. "We can't say, 'Start with this treatment and then add this other treatment in,' " Brownley said. "There's a lot more research to be done. But we have provided a good platform for physicians to figure out how to guide their patients' care." The new evidence review appears online June 28 in the Annals of Internal Medicine. Binge-eating disorder affects about 3.5 percent of women and 2 percent of men in the United States, according to the U.S. National Institutes of Health. But it wasn't until 2013 that the American Psychiatric Association judged binge-eating disorder a true illness and included it in its diagnostic manual, the DSM-5. Binge-eating disorder is different from bulimia, because the person who binges doesn't feel compelled to purge the food afterwards. People with bulimia often try to prevent weight gain by vomiting, using laxatives or overexercising after they've overeaten, Brownley said. People who occasionally down a whole pint of ice cream or a family-size bag of chips in one sitting don't necessarily have binge-eating disorder, pointed out Dr. Michael Devlin, a professor of psychiatry at Columbia University Medical Center in New York City. "This is not occasional overeating, but a major problem," said Devlin, who wrote an editorial accompanying the evidence review. "The criteria are careful to specify it really has to be out-of-control eating and people have to be stressed by it, not just feeling bad, but feeling really disgusted with yourself or very depressed." A binge-eating episode involves eating a large amount of food within a couple of hours, with no sense of control over what one is doing, Brownley said. To be diagnosed with binge-eating disorder, a person would have at least one episode a week for three months. Someone with the disorder will eat much more rapidly than normal, eat until they're uncomfortably full, eat when they're not hungry, hide their eating out of embarrassment, or feel disgusted, depressed or guilty after a binge episode, Devlin said. "It's a real disorder. It's not just overeating. And it's important for people to realize there are treatments for it," he said. For their review, Brownley and her colleagues looked at 34 different clinical trials that tested potential treatments for binge-eating disorder. The researchers found that patients who take part in cognitive-behavior therapy were about five times more likely to abstain from binge eating than people not receiving the therapy. People taking Vyvanse were more than 2.5 times more likely to refrain from binge eating. And, people taking second-generation antidepressants were 67 percent more likely to curtail binge eating, the researchers reported. "Cognitive-behavioral therapy really gets to the core of the thoughts and feelings that are behind this disorder," Brownley said. With assistance from a therapist, patients figure out the feelings and the habits that contribute to their binge eating, and come up with effective counters. Vyvanse is a stimulant originally approved to treat attention deficit hyperactivity disorder. Researchers think it may help people deal with the impulsive or compulsive parts of binge-eating disorder, Brownley said. For example, it may help them stop reaching for food when depressed, or help them stop eating once they're full. Second-generation antidepressants include classes of drugs such as selective serotonin reuptake inhibitors (SSRIs) and serotonin and norepinephrine reuptake inhibitors (SNRIs). They might dampen feelings of depression that contribute to binge eating, Brownley said. But it's also possible that the antidepressants are changing brain chemistry in some as-yet-unknown way that helps relieve binge eating, Devlin said.